Please join us over at Bearing Drift as we remember September 11, 2001 — the most tragic day in American history. Where were you on that day? Some share their stories. Meanwhile, a timeline is playing out during the day, posted on Bearing Drift in real time as events unfolded that fateful day, with links also posted on Bearing Drift’s Facebook page and Twitter @BearingDrift. It’s been seventeen Septembers since the horror of the terrorist attacks of 9/11. Those too young to remember can never understand the feelings of the many who lived through it. This is a day to remember and reflect. The toll on 9/11: Nearly 3,000 people died as a result of hijacked aircraft flown into the Twin Towers, the Pentagon, and Flight 93’s crash into a Pennsylvania field to prevent the same tragedy in the Nation’s capital. First responders who perished included 340 firemen and 60 police officers. First responders who rushed into the dust and debris are now suffering from respiratory and other illnesses. I gravitated to the bookcase this afternoon and pulled out the 1994 memoir written by former First Lady Barbara Bush, her smiling face on the cover looking back at me as I fanned through the pages of photos from Bush family highlights throughout the years. Barbara Bush. What a lady. Ever gracious even while being a rock who anchored her family to reality amidst their wealth, she wielded a wit that endeared her to the nation. It’s been decades, but Barbara Bush is still very much in love with her husband. The former first lady wrote about former president George H. W. Bush in a note for the spring edition of Smith College’s alumnae magazine. “I am still old and still in love with the man I married 72 years ago,” Barbara Bush wrote in the life updates section for the magazine. There are probably some tears today with the sad news of Mrs. Bush’s failing health, even as she is wrapped in prayers and love. 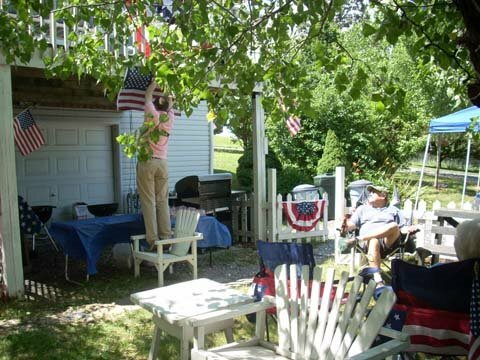 Thinking of the entire Bush family at this difficult time…. Has it really been 32 years since the Challenger shuttle exploded in mid-air? Seven lives were lost, the tragedy was caught live on TV, and Americans were shocked at the disaster that had taken place in front of their eyes. Space launches had become so routine to most people by the time Challenger came around that it rarely caused much excitement. Indeed, on that fateful day of January 28, 1986, it was cold and wintry in rural North Carolina, just as it was cold at the site of the launch in Florida. At home with my one-year-old son, I remembered the NASA launch was taking place that morning so turned on the television to see how it was going. TV cameras scanned the spectator stands at Cape Kennedy where family and friends of the astronauts watched, full of excitement in anticipation of the launch that included Christa McAuliffe who was there as part of the Teacher in Space project. Millions of children across the nation sat in classrooms watching and waiting for the launch with expectations of experiments and lessons during the journey from the teacher in space. One of those students was Brian Schoeneman, Bearing Drift Editor-in-Chief Emeritus (see Remembering the Challenger). 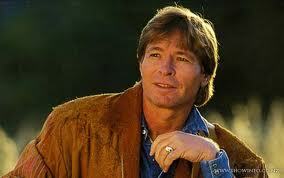 Today is John Denver’s birthday, born on New Year’s Eve in 1943. John Denver — forever in our minds as the youthful, blonde-headed, wire-rimmed granny glasses-wearing troubadour — would now be a 74-year-old grandpa if he had lived. His daughter Anna Kate, 41, who lives in New Zealand with her husband Jaime Hutter, gave birth to a daughter, Daisy Eloise, on December 21, 2011. 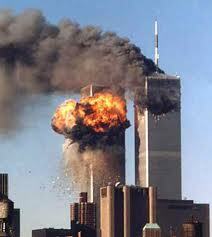 10:28 a.m. North Tower of the World Trade Center collapsed 102 minutes after being struck by Flight 11. 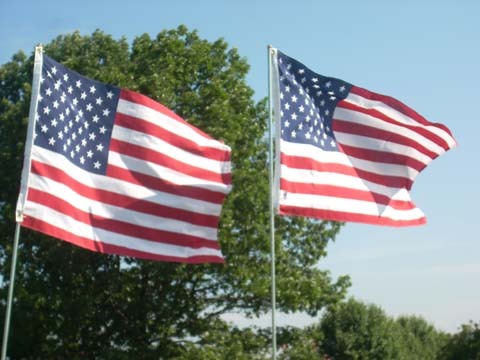 LynnRMitchell.com remembers 9/11 … may we never forget. 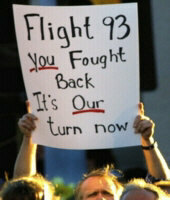 The heroes of United Flight 93 were ordinary Americans who reacted in extraordinary times. On a hijacked airplane heading toward Washington, D.C., possibly targeting the White House or the Capitol building, and with the knowledge of what had already occurred that morning with the Twin Towers and the Pentagon, passengers took matters into their own hands. Ordinary citizens became heroes in their attempt to overtake the Muslum terrorists who had pirated the plane, and crashed it into the countryside of southwestern Pennsylvania. I have written before of my special connection to Flight 93. 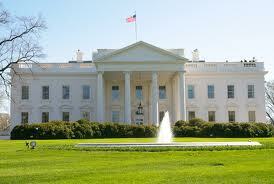 My sister, a member of the George W. Bush administration, was at work in the White House that day. If Flight 93 had hit Washington as had happened in New York City and Arlington’s Pentagon, our family could have been one of the many mourning a lost one. On the tenth anniversary of that tragic day, the crash site outside Shanksville, Pennsylvania, was formally dedicated as a permanent reminder of the courage and spirit of the Flight 93 heroes. President George W. Bush, in office only nine months when 9/11 happened, unexpectedly became a wartime president that day with a determination to protect the American people. He and Mrs. Bush attended the 2011 commemorative events, met with the families, and took part in the ceremony. Forty extraordinary Americans … my family will forever be grateful to the men and women of Flight 93 and their families for the heroism and sacrifice made that day. Flight 93 had heroes on board…. The 32-year-old Oracle Corp. account manager from Cranbury, N.J., was believed to have helped lead a passenger attack on Flight 93 hijackers that prevented the jet from reaching its target, possibly the White House. Beamer spoke to a GTE operator on the plane’s phone. His final words — “Are you guys ready? Let’s roll!” — have become a rallying cry for the war against terrorism. Beamer and his wife, Lisa, had two sons. His daughter, Morgan, was born in January of 2002. Beamer played baseball and basketball in college and loved coaching youth sports. President Bush, in an address to the nation, praised Beamer as “an exceptional man.” Today, the Todd M. Beamer Foundation aims to help kids deal with trauma and learn how to make choices. Burnett called his wife, Deena, to tell her about the Flight 93 hijacking and said he and other passengers were “going to do something about it.” Burnett, 38, of San Ramon, Calif., was senior vice president and chief operating officer of Thoratec Corp., a medical research and development company. His wife and three daughters moved to Arkansas afterwards to be closer to her parents. The new Thomas Burnett Family Foundation plans to provide endowments for children’s bereavement camps and leadership scholarships at selected universities. Glick called his wife, Lyz, after terrorists took over Flight 93. She patched the call to a 911 dispatcher, who told Glick about earlier attacks in New York. Glick told his wife some passengers had taken a vote, and “We’re going to rush the hijackers.” Glick, 31, of West Milford, N.J., had been a collegiate judo champion at the University of Rochester. His older sister, Jennifer, is president of Jeremy’s Heroes foundation which is devoted to helping people build character through sports. The foundation has supplied sneakers to kids in Chicago and paid for 20 children in Washington to attend a soccer camp. 9:45 a.m. The World Trade Center had been attacked an hour earlier when airplanes hijacked by terrorists flew into both towers … Pan Am Flight 77 had flown into the Pentagon … and now United Flight 93 was being followed on radar flying toward Washington, D.C. No one was aware of the struggle going on inside that aircraft as passengers, aware of the earlier terrorism attacks, vowed to storm the cockpit and avoid whatever disaster the terrorist pilots had in mind. The White House was evacuated at 9:45. Employees were urgently directed by Secret Service to leave the building and, as the evacuation was under way, it was stepped up as shouts told them to get away from the White House and Old Executive Office Building as fast as they could. Women took off their shoes and ran in their stocking feet out the White House grounds and onto the street and down the sidewalk. One of them was my sister. Flight 93 would go down at 10:06 a.m. taking the brave souls with it who prevented further national tragedy. 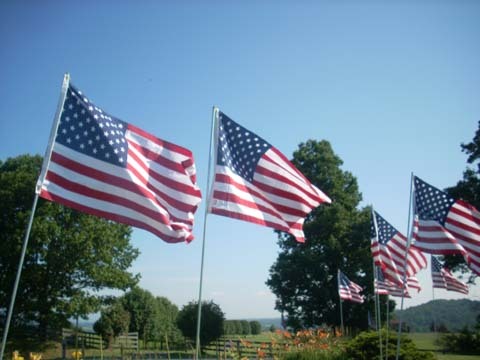 LynnRMitchell.com remembers … may we never forget the herorism of those on Flight 93. 9:03 a.m. New Yorkers and television viewers nationwide watched in horror as a second airplane hit the south tower of the World Trade Center. 8:46 a.m. It began with first one tower followed by the second of the World Trade Center hit by commercial airliners. America was under attack. 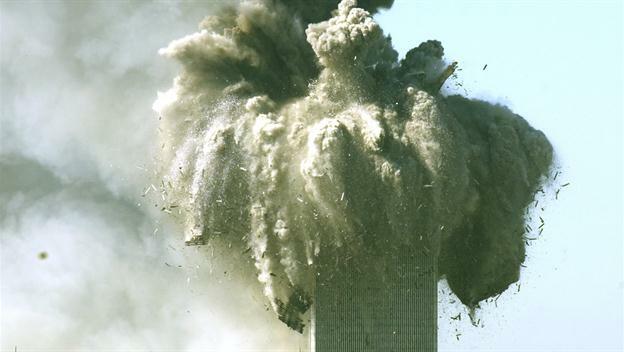 After pilots and crew members of American Airlines Flight 11 were overpowered by terrorists, the plane crashed into the North Tower. It was the first terrorist act of what would become the worst attacks ever on American soil, a day that would continue to see strikes on our nation three more times as the morning unfolded. LynnRMitchell.com remembers 9/11 … may we never forget! Emancipation Park at night, Charlottesville. A street artist’s rendition of Heather Heyer, victim of a hate crime when a speeding car driven by a neo-Nazi plowed into the crowd during the “Unite the Right” march in Charlottesville. Charlottesville’s 4th Street where Heather Heyer was killed on August 12. Warnings have been heard for weeks to not look at the sun during today’s solar eclipse. Here is a one-minute video for a safe tool to watch today’s rare event as darkness covers the earth in early afternoon. Happy viewing!